It’s Personal: Zines, Artists’ Books, etc. In this volume, the author considers how eight of Nevada’s most distinguished and innovative contemporary artists have responded to the harsh, enigmatic landscapes of the Great Basin and how, through their work, they have expressed and helped to define the West. In a world increasingly dominated by the digital, the critical response to digital art generally ranges from hype to counterhype. Popular writing about specific artworks seldom goes beyond promoting a given piece and explaining how it operates, while scholars and critics remain unsure about how to interpret and evaluate them. This is where Roberto Simanowski intervenes, demonstrating how such critical work can be done. A compelling blend of art history, social analysis, and personal testimony, Creative Collectives presents a new paradigm for understanding Chicana/o studies. By following the artistic and ideological journeys of two groups of northern California Chicana artists, María Ochoa argues that the women involved in these collectives created complex images whose powerful visual social commentary sprang from the daily experiences of their lives. 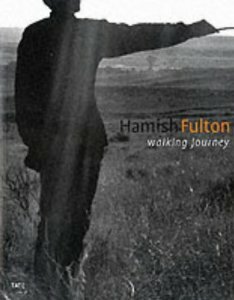 Known as a sculptor, photographer, conceptual artist, and land artist, Hamish Fulton prefers to characterize himself as a walking artist. His walks have taken him to locations as varied as Japan, the Himalayas, Italy, India, Iceland, and the deserts of Montana, as well as throughout England. In 2009, Hamish Fulton and an expedition team climbed Mount Everest, the highest peak in the world. This publication presents this artist treatment of the ascent to the summit for the first time in a compendious pictorial volume in the form of collages of photographs and text, sculptures and works on paper. Today’s designers are creating compelling atmospheres and interactive experiences by merging hardware and software with architecture and design. 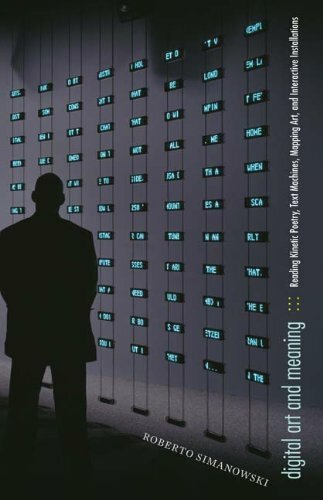 This book is a collection of this innovative work produced where virtual realms meet the real world and where data flow confronts the human senses. In the mid-60s, artists in the USA and Europe began planning works for sites outside the narrow boundaries of galleries and museums. It began with ephemeral enhancements or traces left in deserted landscapes, in the deserts of America, or in the moors of Scotland. Following this were spectacular earthen sculptures of gigantic proportions, some of which are still in the process of completion today. This generously illustrated volume surveys a new chapter in the history of environmental art, one in which space, geopolitics, human relations, urbanism, and utopian dreamwork play as important a role as, if not more than, raw earth. In her celebrated large-scale paintings, which are built up with layers of acrylic paint on canvas and overlaid with gestural pen and ink marks, Ethiopian-born, New York-based artist Julie Mehretu explores issues of mobility, social organization, political entanglement and global competition. Featured in this crisply designed volume are five new works from her city-specific series City Sitings, Detroit-related and all created for her exhibition at that city’s Institute of Arts. American artist Julie Mehretu is celebrated for her large-scale paintings and darwings that layer abstract forms with familiar architectural imagery. Inspired by a multitude of sources, including historical photographs, urban-planning grids, modernist structures and graffiti, these semi-abstract works explore the intersections of power, history, dystopia and the built environment and their impact on the formation of personal and transcommunal identities. PAPA – Participating Artists Press Agency – is an international, curated network of artist-correspondents, initiated and led by Lino Hellings. PAPA is nomadic, it doesn’t have a fixed office but works from temporary offices in cities all over the world. Projects can be self-initiated or commissioned by third parties. 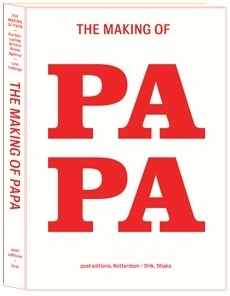 PAPA is an instrument for world mapping, gently fixing even the most stubborn pieces into meaningful patterns. By documenting and guiding us on the journeys we make every day, maps influence the way we navigate and identify with our surroundings. The Underground, London Transport, and its successor Transport for London, have produced and inspired maps which are navigational, decorative forms of publicity and works of art. 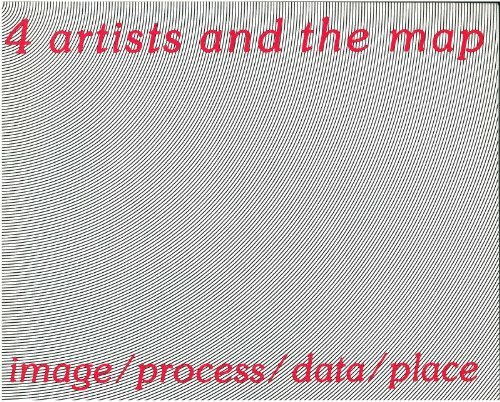 Maeda’s work as an educator and director of the Aesthetics + Computation Group (ACG) at the MIT Media Lab has largely remained behind the scenes. For seven years, Maeda and his students-several of whom are already internationally celebrated-have created some of the most digitally sophisticated and exciting pieces of design to emerge anywhere. Little of this research has been seen outside the laboratory. Catalog of an exhibition held at DC Moore Gallery, Jan. 9-Feb. 3, 2001. Published to coincide with an exhibition at Chicago’s Newberry Library, Mapping Manifest Destiny: Chicago and the American West charts the historic role maps have played in imagining, understanding, promoting, and exploiting the Western frontier of North America. Given their subjective nature, maps reproduce the views or perspectives of their makers. Cartographic Traditions in East Asian Maps is focused on a group of maps from the MacLean Collection, one of the world’s largest private collections of maps. Among the most beautiful and compelling works of Renaissance art, painted maps adorned the halls and galleries of princely palaces. 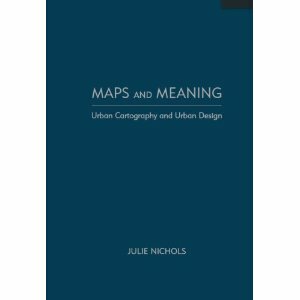 This book is the first to discuss in detail the three-dimensional display of these painted map cycles and their full meaning in Renaissance culture. In Rhythmanalysis, Henri Lefebvre put forward his ideas on the relationship between time and space, particularly how rhythms characterize space. Here, leading geographers are brought together to expand and advance on Lefebvre’s theories, and to explore how they intersect with current theoretical and political concerns within the social sciences. Since its publication in 1936, Walter Benjamin’s “Artwork” essay has become a canonical text about the status and place of the fine arts in modern mass culture. Benjamin was especially concerned with the ability of new technologies—notably film, sound recording, and photography—to reproduce works of art in great number. Benjamin could not have foreseen the explosion of imagery and media that has occurred during the past fifty years. Does Benjamin’s famous essay still speak to this new situation? That is the question posed by the editors of this book to a wide range of leading scholars and thinkers across a spectrum of disciplines in the humanities. The essays gathered here do not hazard a univocal reply to that question; rather they offer a rich, wide-ranging critique of Benjamin’s position that refracts and reflects contemporary thinking about the ethical, political, and aesthetic implications of life in the digital age. In today’s practices of urban design, the map acts as a documentary and design tool as well as a legal document. Its usefulness hinges on its perceived truthfulness and objectivity in the representation of reality. Yet this has not always and everywhere been the case. This text develops the plotting equations for the major map projections. As long as there have been maps, cartographers have grappled with the impossibility of portraying the earth in two dimensions. To solve this problem mapmakers have created hundreds of map projections, mathematical methods for drawing the round earth on a flat surface. Yet of the hundreds of existing projections, and the infinite number that are theoretically possible, none is perfectly accurate. Maps are universal forms of communication, easily understood and appreciated regardless of culture or language. This truly magisterial book introduces readers to the widest range of maps ever considered in one volume: maps from different time periods and a variety of cultures; maps made for divergent purposes and depicting a range of environments; and maps that embody the famous, the important, the beautiful, the groundbreaking, or the amusing. A consideration of maps which evaluates the significance of the signs and myths which are inherent in them, and considers them as subjective depictions of reality rather than unbiased reference objects. Ships on Maps investigates how, long admired but little understood, the many ships big and small that came to decorate maps in the age when sailors began to sail around the world were an integral part of the information summarizing a new age. In “Washington in Maps, Iris Miller delves into this historic documentation, into sometimes rare and often buried maps and letters and charts, and reveals to us a brilliant portrait of this ever-evoloving capital of a nation. 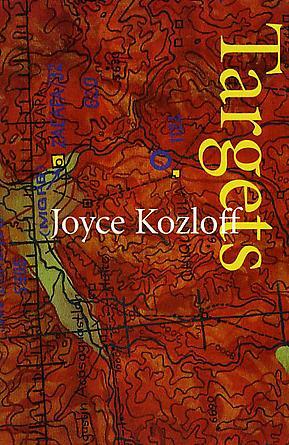 Focusing on forms of mapping that depart radically from conventional cartography – particularly “mapping with/in,” being with or in a place, and “mapping out,” communicating that experience of connection with others – Casey shows how earth art and abstract painting respectively reshape our landscape and our view of it, drawing us in from our bird’s-eye view of the grid of highways and roads. In these works, we come to see the earth as it is sensed, remembered, and reshaped by artists as they explore the effect of the landscape on humans and the human effect on the landscape, and as they demand a response to the changing world around us. ELSE/WHERE: MAPPING charts the ascendancy of mapping as a powerful interdisciplinary strategy, one that links people and places, data and organizations, and physical and virtual environments. Traditionally written by history’s victors, maps are gaining new currency in our information-saturated age as a means of making arguments and processes visible. Medieval world maps have been viewed in the past as quaint, amusing and simply wrong. This text studies these maps differently, showing that the medieval world view, as expressed in maps, was not only a matter of measuring space, but of placing the Earth in a philosophical and religious setting. A major component of this setting was the passage of time, and many medieval maps show a narrative of human spiritual development: creation, the giving of the law, the coming of Christ, and the Last Judgement. Moving from the years preceding Jamestown to the dawn of the postbellum era, Mapping Virginia represents the most comprehensive available selection of printed maps from Virginia’s first three hundred years. An intriguing collection of more than one hundred out-of-the-ordinary maps, blending art, history, and pop culture for a unique atlas of humanity. Spanning many centuries, all continents, and the realms of outer space and the imagination, this collection of 138 unique graphics combines beautiful full-color illustrations with quirky statistics and smart social commentary. Maps can be simple tools, comfortable in their familiar form. Or they can lead to different destinations: places turned upside down or inside out, territories riddled with marks understood only by their maker, realms connected more to the interior mind than to the exterior world. These are the places of artists’ maps, that happy combination of information and illusion that flourishes in basement studios and downtown galleries alike.